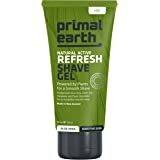 Amazon's Choice for "primal earth"
Primal Earth Natural Active Sensitive Shave Creme is powered by natural New Zealand Harakeke and Mamaku extracts for soothing moisture, while active organic Green Tea, Vitamin E, Aloe Vera and Jojoba nourish and protect skin. Natural Active Sensitive Shave Creme is soap-free and will not cause razor burn, rashes or blotchiness. The juicy Mango Vanilla scent is perfect for his face AND her legs. Dermatologically tested, great for sensitive skin. For someone who suffered severe shave burn, this stuff is a god send. This product does't lather, but if you look at the pictures, you'd already know that. It isn't as thick as what most may be used to, but the razor will glide like a hot knife through butter while shaving, leaving your face soft and smooth. As for the person complaining a out the fruity smell, what would you expect with Mango Vanilla? Don't get too concerned with the negative reviews, people shouldn't blame the product because it's not the "typical shave cream." 3.0 out of 5 starsNon lathering Gel that works well. I don't like the smell. Does what it is supposed to well. 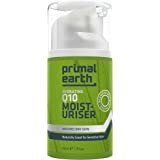 Like all the lubricant like gels that don't lather I have tried they do a good job of preventing razor burn and ingrown hairs. These lubricating gels are really the only kind of shave gel/cream that prevents me from getting razor burn. Smells like juicy fruit gum. I wouldn't buy again because of the smell. Would have preferred something refreshing like menthol, mint, eucalyptus. Perfect Shave gel would be the smell and stimulating sensation of Aveda's Men's shave cream with the slickness of this product. I can sometimes find the Real Shaving company in the drugstore for about 7 bucks which I prefer over this. Will give Anthony Logistics a try next. 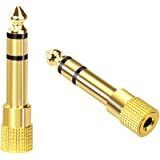 This product is okay. 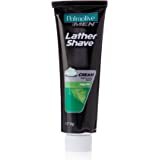 It may not have unnecessary additives like most shaving creams and it allows the blades to run over your skin, without knicks...but again, it's a lotion consistency, not like shaving lather. There isn't any lather and I don't care for it as much. So, you need to decide if the difference is worth it or not. A bar of soap or a homemade concoction using olive oil or other lubricants could do the same without added toxins. I think I'll stay with the good old fashioned Barbisol style of shaving cream going forward. 5.0 out of 5 starsBest shave creme and UNISEX! 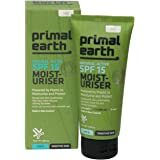 I purchased this for my husband as he has very sensitive, irritated skin. He loves it. I love it too! I started using it and was very impressed with product. This stuff really works well. It smells great and works for everyone (unisex). Now we only have 1 container in the shower instead of 2! Best shave, best scent , puts the "shaving creme cans" to shame. We will never go back! Also, it doesn't foam up like those crappy cans do. But dont let that fool you. A little goes a long way and it works better! 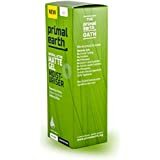 I really like Primal Earth, it works very well, smells pretty good, and the fact it's made of mostly plant based natural ingredients is great. It also makes your skin feel pretty good after a shave. I deducted one star simply because it does not lather up real good, and it's a buck or two overpriced, though not ridiculously overpriced as some of the shave crèmes on Amazon.